Teams solving atleast one problem will advance to online round. 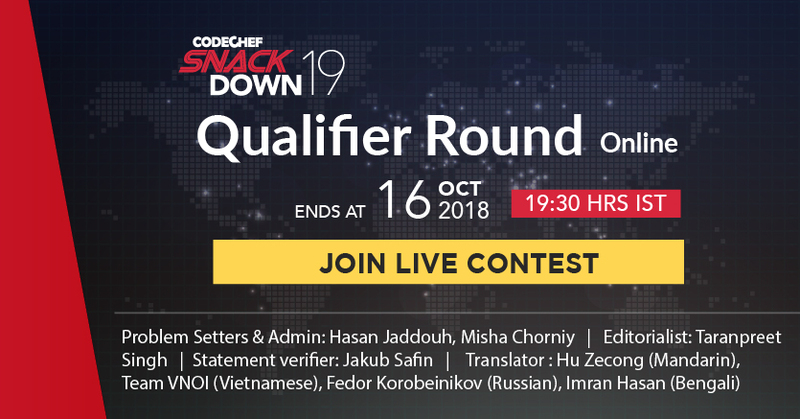 12:13 IST, 5th Nov: The SnackDown 2019 - Onsite Finale will be conducted on 15th and 16th February 2019 in India. The venue of the onsite will be announced soon.